One of the most common shoulder injuries is a tear of the soft tissue, known as the shoulder labrum, that stabilizes the joint. These injuries can be aggravating at best, debilitating at worst. The hallmark is always shoulder instability. If your shoulder feels loose or out of place, you might have a SLAP or Bankart labral tear. Instability related symptoms. Popping, grinding, catching, and/or locking is common. So is a feeling that the shoulder is going to pop out of its socket. Pain-related symptoms. Overhead movements and holding the shoulder in certain positions can be extremely painful. Weakness related symptoms. 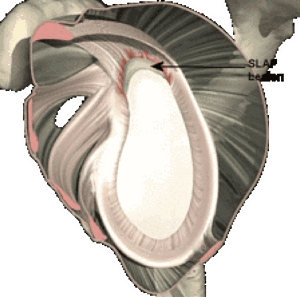 A decrease in shoulder strength and athletic performance occurs following a SLAP tear. In some cases, athletes may not be able to perform. After diagnosing the injury, an orthopedic specialist determines if the tear is serious enough to require arthroscopic surgery. If it isn’t, physical therapy, activity modification, and anti-inflammatory medications are used as treatment measures. If surgery is necessary, a 1-2-hour outpatient procedure locates and then repairs the tear. 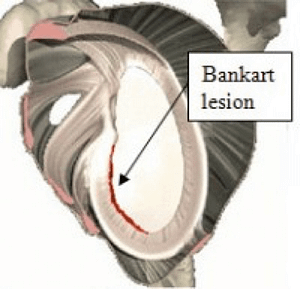 The term Bankart is used to describe a tear of the inferior (lower) rim of the labrum. Symptoms are similar to those of a SLAP tear. But, because of the way it’s situated, the shoulder is especially susceptible to dislocation following a Bankart tear. In some cases, dislocation can cause a portion of the glenoid bone to fracture. This type of injury is known as a bony Bankart. Non-surgical treatment of a Bankart tear is possible; however, there’s a risk of future shoulder dislocation. Thus, surgical repair is usually necessary. The 1-2-hour outpatient procedure is used to repair the tear and, if necessary, reattach fractured bone. 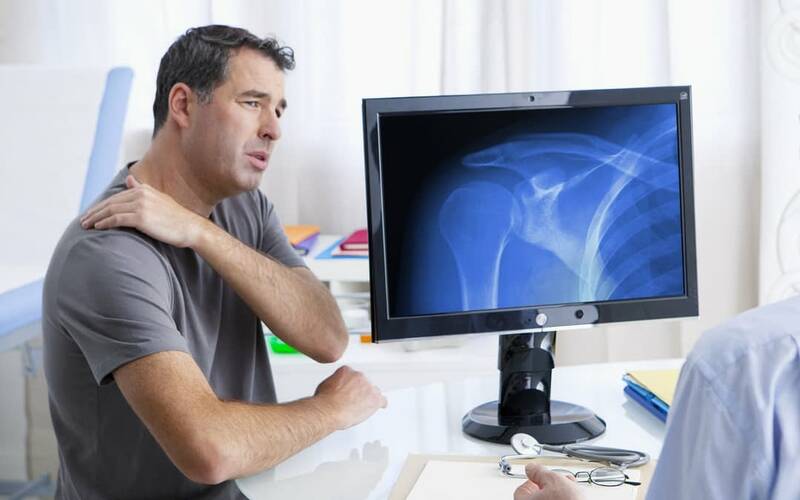 You shouldn’t have to suffer from the unpleasant symptoms of shoulder instability. And, you shouldn’t have to worry about your shoulder dislocating. Please give us a call to arrange an appointment with one of our orthopedic specialists. Your condition will be properly diagnosed and treated. Expect a full recovery when in the hands of our trusted physicians.